Take your data on the go while protecting it the elements with the 1TB Envoy Pro EX Video Edition Rugged Portable Thunderbolt 3 SSD from Other World Computing. Designed for the demands of 4K/8K video production, visual effects, AR, and VR workflows, the bus-powered Envoy Pro EX comes equipped with an attached 5.9" Thunderbolt 3 cable and a 1TB M.2 NVMe SSD, and it's capable of read/write speeds up to 2800 MB/s. The plug-and-play drive features an aluminum shell, MIL-STD810G-certified drop protection, and a removable rubber bumper. Built in a strong, slim, and stylish aluminum enclosure, the Envoy Pro EX Video Edition comes with an impact-absorbing rubber bumper, plus MIL-STD810G-certified protection from drops and bruises. Designed to run cool and silent, the OWC Envoy Pro EX is bus powered with zero moving parts. The OWC Envoy Pro EX Video Edition with Thunderbolt 3 provides up to 2800 MB/s of performance. 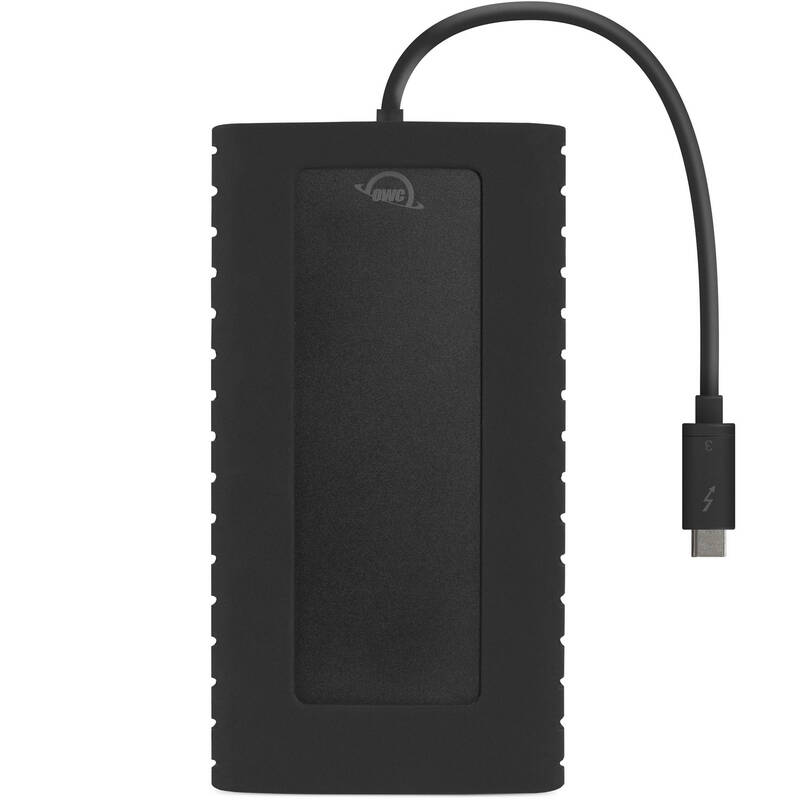 The drive combines the 40 Gb/s bandwidth offered by the Thunderbolt 3 interface with an M.2 NVMe SSD tuned to provide reliable OWC performance.